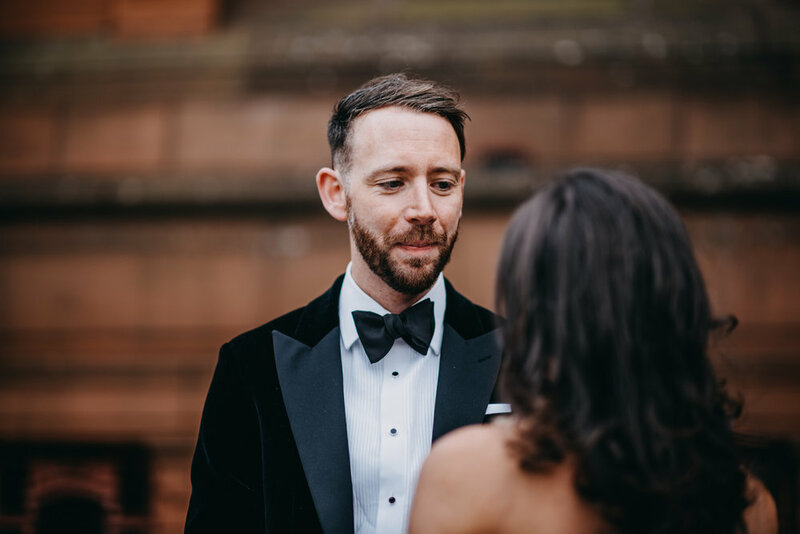 So on David and Helen-Anne's big day we started off with a lovely warm overcast cast day, I did some prep shots with Helen-Anne, got some lovely architecture shots of St. Andrews Cathedral, guests arriving and then some of the lads all dappered up! 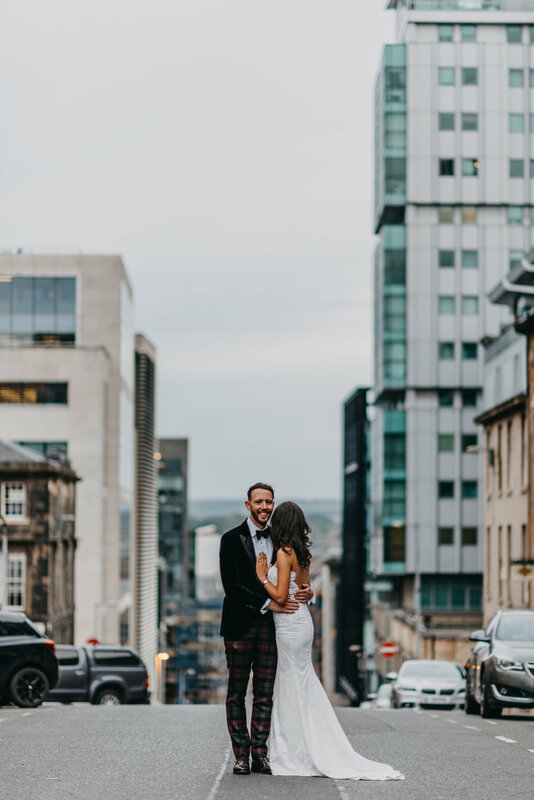 We had great plans of burning it around Glasgow in a top of the range Jaguar to a few different locations around Glasgow for our portrait session, but, as soon as the ceremony finished, the heavens opened! It wasn't just raining, it was raining raining! 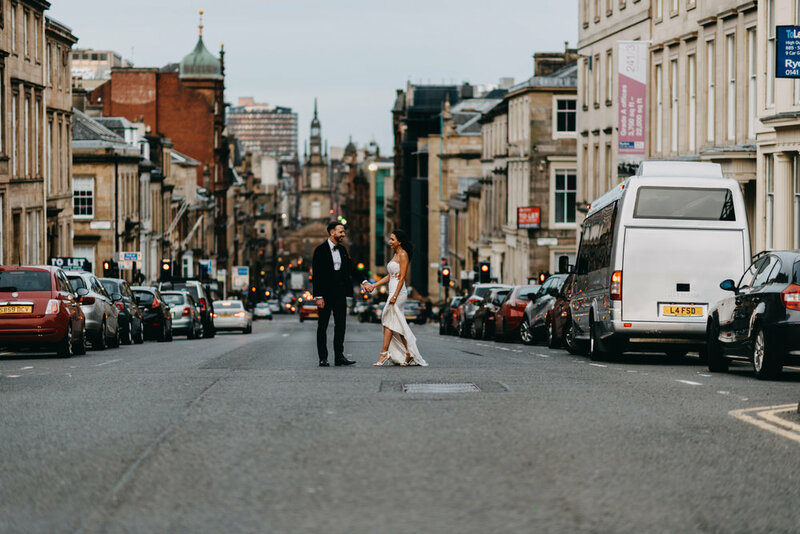 Throughout the rest of their day we grabbed shots where we could in and around their venue Trades Hall of Glasgow but we had a back up plan :) A post wedding 'without rain' portrait session. So relaxed and too many laughs with class people, here are some of the shot!